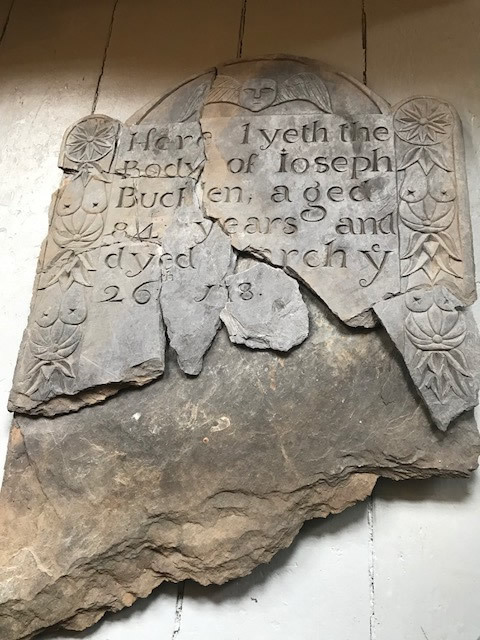 The headstone of Joseph Bucklin (Bucklen) Sr. has fractured. Most of the carving has been recovered. It can be restored and cleaned up. Once restoration occurs, the stone will be reset at his grave. If donations exceed the cost of restoration, funds will be held in reserve for other stones that need repair. 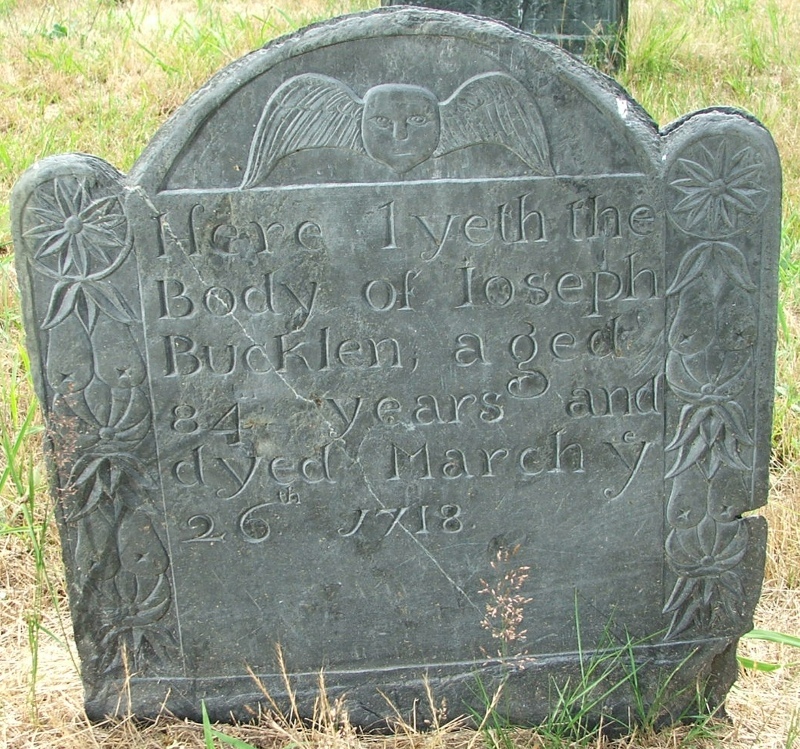 Help us preserve Joseph Bucklen’s headstone. The stone can be repaired and reset. You can donate at our GoFundMe campaign. Please Contact us if you have any questions. American History: First act of war in the American Revolution was rifle shot by Joseph Bucklin. The English Attorney General formally declared Joseph Bucklin’s shot in the 1772 Gaspee Attack to be the first Act of War by the American colonists! The 1772 American attack on the English Navy ship Gaspee was a significant event in Revolutionary War history. The Joseph Bucklin Society conducts research and education on the American Revolution in Rhode Island and Massachusetts. 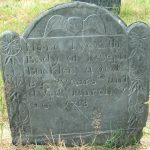 We research, and make available to you, political, social, legal and economic history of 1600 -1800 in Rhode Island and Massachusetts. We specialize in the events and persons involved in the Gaspee Affair. This website is one of the two most complete of the Internet’s publically available sources of in-depth information about the Gaspee affair. We go beyond research regarding Joseph Bucklin and the American attack on the Gaspee. We dig into, analyze, and present the history of Rhode Island and Massachusetts during 1600 – 1800, the causes of the American Revolution, and the Gaspee Affair, including the personal history of the Rhode Island men who attacked the Gaspee. 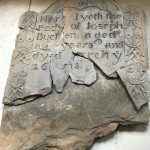 Also, because the New England Bucklin family was typical of those whose thinking and actions changed the nature of the early colonies, we spend special time finding and preserving historical information of the Bucklins of 1600 to 1800. Among other things, we maintain a 4000 person database of Bucklins. (If you are a Bucklin, then you are almost certainly a descendent of William Bucklin, who arrived in America in 1634! His family was one of earliest, and one of the most important landowners, of early Rhode Island.) It’s more than Bucklin family genealogy; it’s part of American history. The Joseph Bucklin Society is dedicated to historical research and the dissemination of educational material. The Society is not connected with any denomination or political group. We are here to preserve find and preserve important American, Gaspee, and Bucklin history from loss. We are an American history organization, and this site is basically an history website, devoted especially to Colonial history and Revolutionary War era history, and the Bucklins in that period of time. This society was named in honor of Joseph Bucklin V. Both he and also the other Bucklin family lines are a notable part of early American history. The Bucklins of New England are good examples of the English people who came to New England, and of what, why, and how they lived and worked creating what became the United States. That’s one of the reasons we have detailed Bucklin family information on this website. In short, these web pages are where you find history of the Massachusetts Bay Colony and the Rhode Island and Providence Plantations Colony, in the period 1600— 1800, with particular reference to the history and aftermath of the Gaspee Affair, and of New England Bucklin families and settlements and their movements across the country.